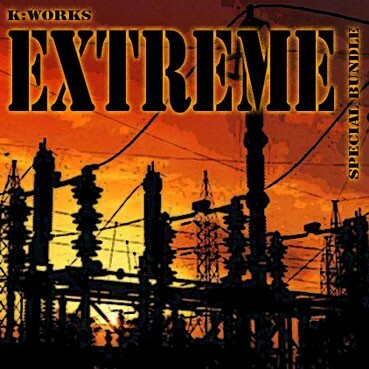 The K:Works - Extreme - Special Bundle includes our K:Works - Extreme Volume 1 - Volume 3 sound program collections for an exclusive discounted price (Worth 99,85 € / Save 20,85 €). Special collection dedicated to all fans of hard electronica. This soundware bundle contains aggressive synth basses, killer syncs, raw and gritty pads, lo-fi seq. programs and "toxic" effects, created to take advantage of the special controller settings for internal DSP modulations (e.g. filter, pitch, shaper, wrap, distortion, etc.). This is an essential soundware for electronic underground music styles (e.g. Industrial, EBM, Dark Wave, Noise, etc.). It is a great complement to the Modern Synth and the Analog & Digital collections.